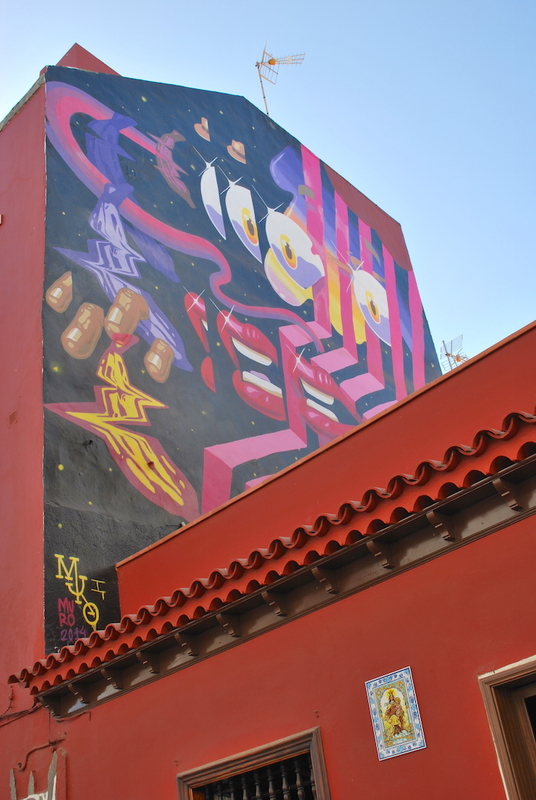 Puerto de la Cruz street art was a top reason for me to visit Tenerife. 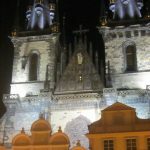 Not the banana boats, not the volcano, but the street art! Puerto de la Cruz in the North of Tenerife is an Atlantic city, attracting tourists from Europe and further afield. 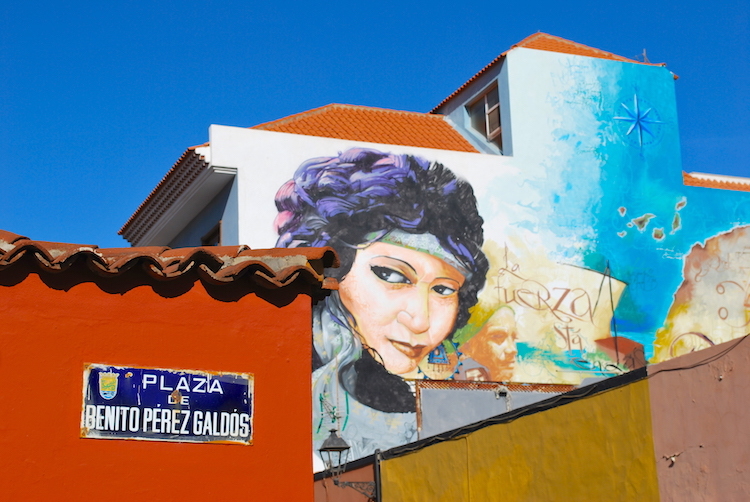 It’s diverse coastal location combined with the colourful colonial Spanish buildings of the old town (La Ranilla) makes Puerto the perfect destination for street art. So much so, in fact, that the historical district of Puerto de la Cruz has become an ‘outdoor museum’ entitled ‘The Museum of Ephemeral Art’. 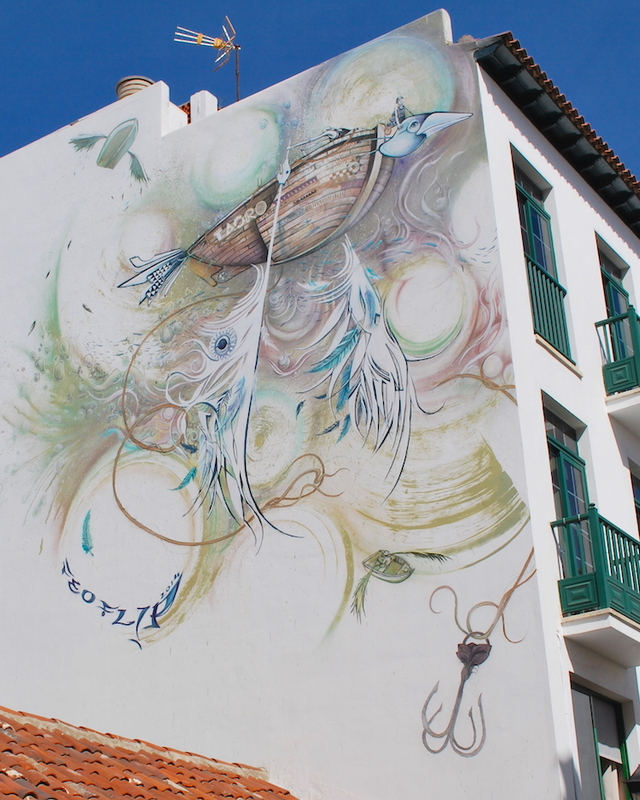 The Art of Puerto de la Cruz comes in all shapes, sizes and themes. 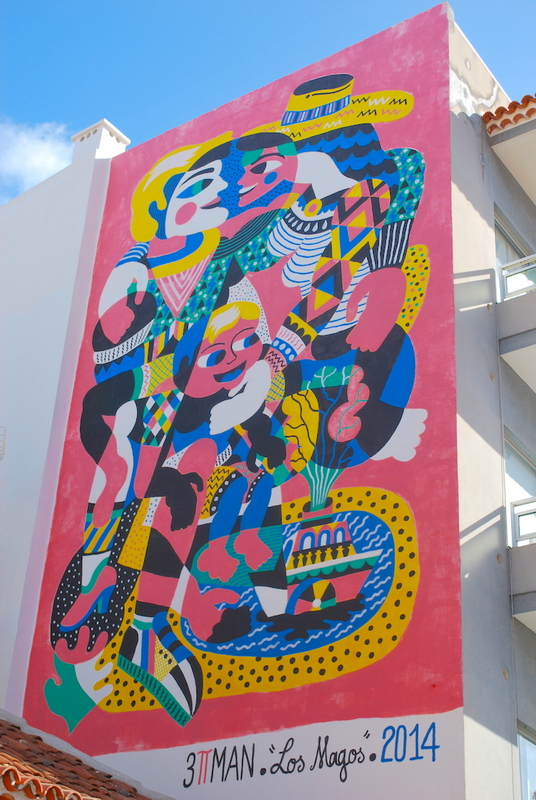 The majority of ‘Los Murales’ were painted in 2014 for the launch of the outdoor museum, but I have noticed that more street art has popped up since then! 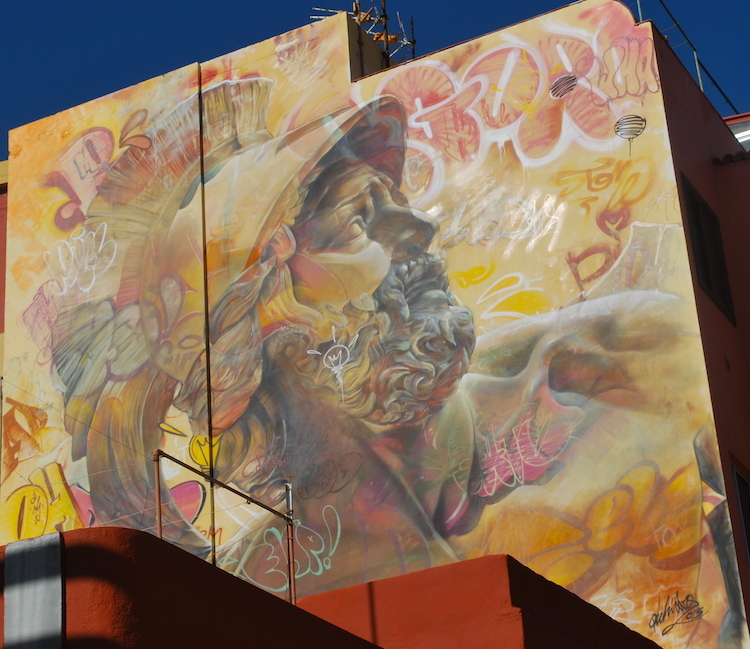 As the Puerto de la Cruz street art tour is in quite a compact area, it can be made by foot in around one hour. You can pick up a guide with a street art map at l’office de tourism free of charge. 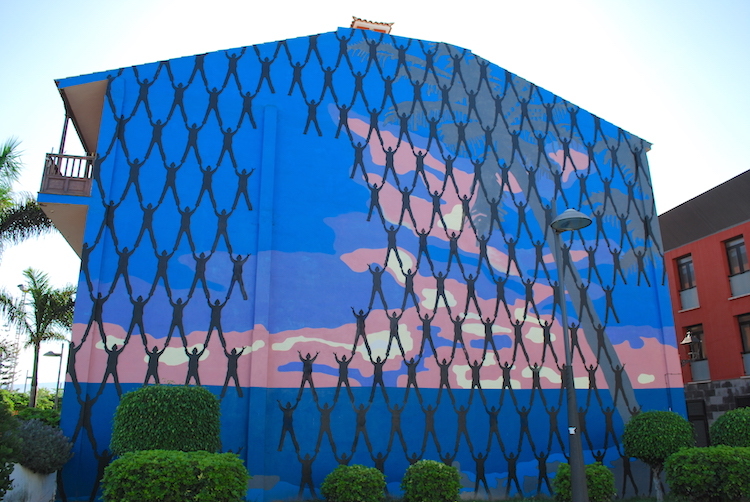 Border to Paradise by Victor Ash, on Merquinez Street. 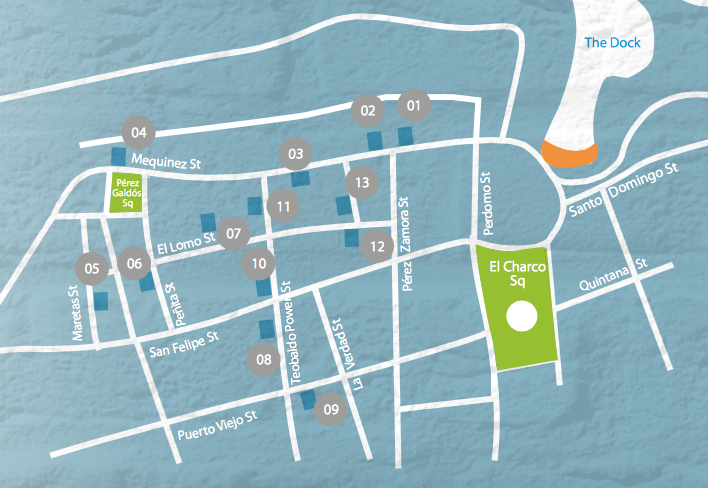 From El Charco, the main square in Puerto de la Cruz, walk down Perdomo street towards the sea front. 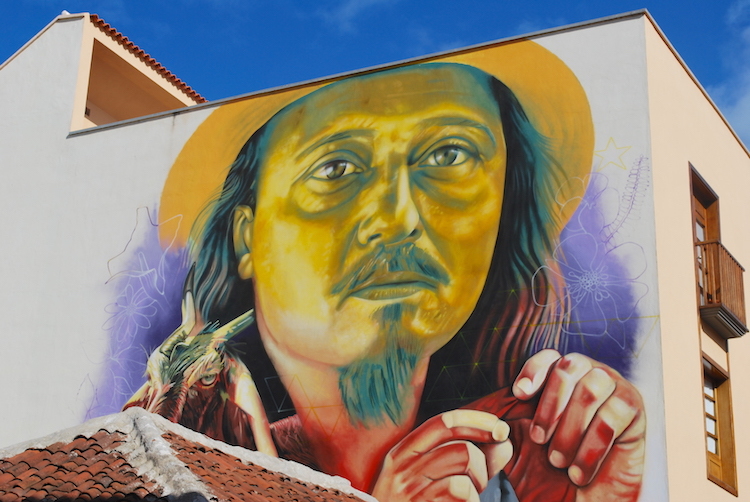 Turn left onto Mequinez street and you will come to the first two pieces on your right hand side: Border to Paradise by the Danish Artist Victor Ash (above) and Rum, Rum, Rum, the bottle of Rum by Ro.Ro from Tenerife (below). I love the reflection on society depicted by Victor Ash in Border to Paradise. The implication is that the human figures form a mesh – a mesh that is a barrier to paradise. 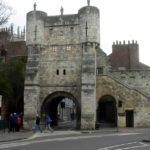 The barrier signifies social and economic injustices. 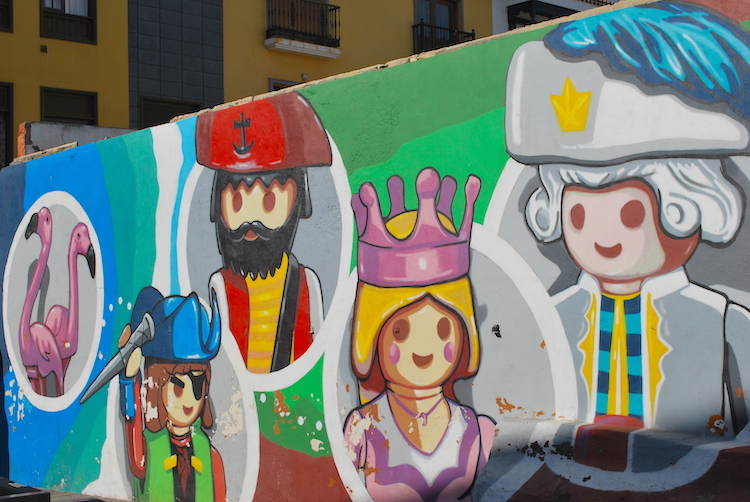 Rum, Rum, Rum is a colourful depiction of Playmobil characters, and is my favourite piece of Puerto de la Cruz street art. Continue to walk down Mequinez Street and look to the left, where you will see Macaronesia by Iker Muro (Bilbao). This acid-pop style mural combines the Rolling Stones with Dali! Further down Mequinez Street on the right hand side, you will find ‘El Nino de las Pinturas (The Boy of Paintings). The journey continues down El Lomo Street. Cross through Perez Galdos Square (where you can see some beautiful colourful houses) and head slightly to the right where El Lomo St meets Marts Street. You will see the theatrical/Indian style mural; by Juliana: ‘If you can Dream it, do it’. 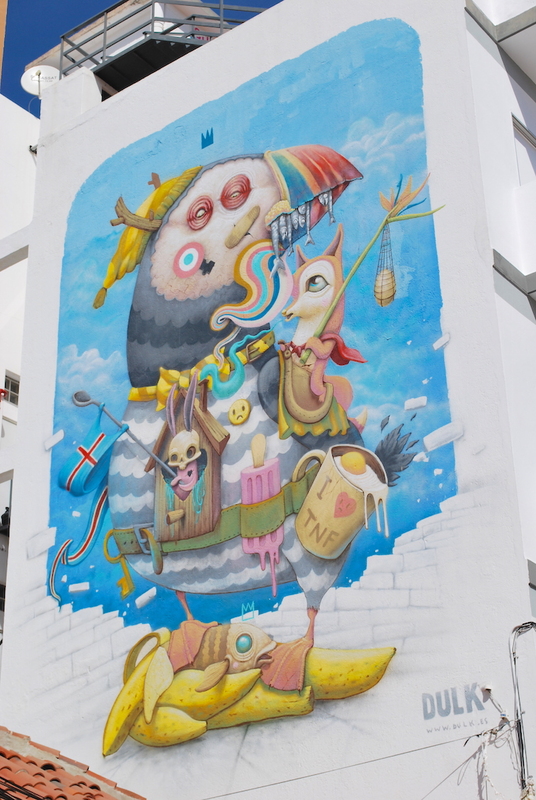 Walk down Lomo street (towards the main square again) and you will find The Puffin by Dulk (inspired by his non stop sail to Iceland from Tenerife) and Magicians by 3ttman (France). ‘The Puffin’ was the hardest to find, but we figured out that this was because an extra street in between the streets on the tourist office map. Just make sure that you walk down Penita. I loved the colours in Los Magos. This mural has quite a ‘Picasso’ feel to it. 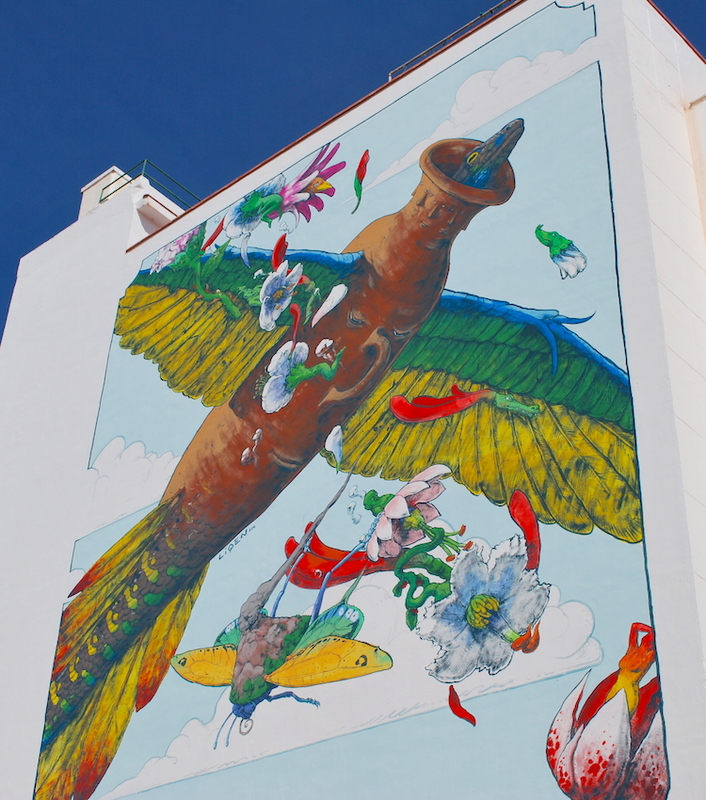 At the next intersection, turn right down Teobaldo Power Street to see a mural by Spanish surrealist Kob. 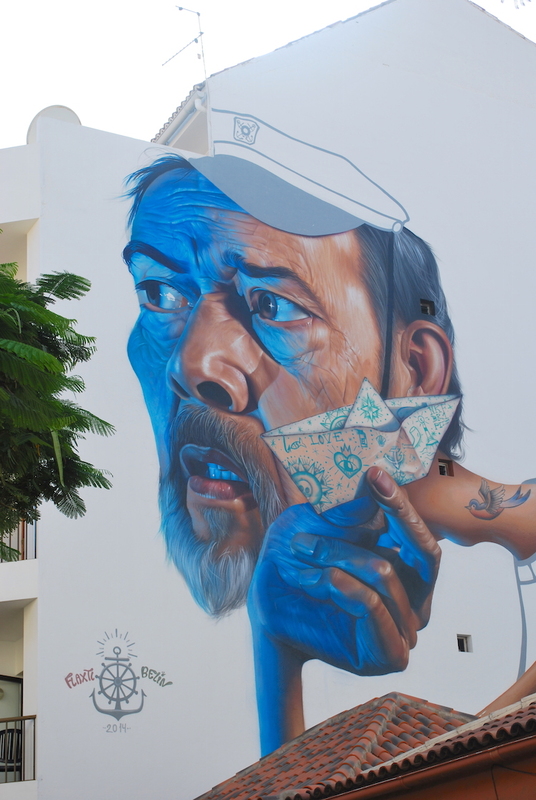 Walk straight on past Kob and turn left on Puerto Viejo to see Eternal Youth by the hyperrealist artist Belin (Jaen). Then, head down Theobald Power Street to find ‘Ritual’ by Sabotaje al Montaje and ‘Volatile Ships’ by FEOFL!P. ‘Ritual’ depicts one of the famous figures responsible for defending the ancestral traditions of Puerto de la Cruz. 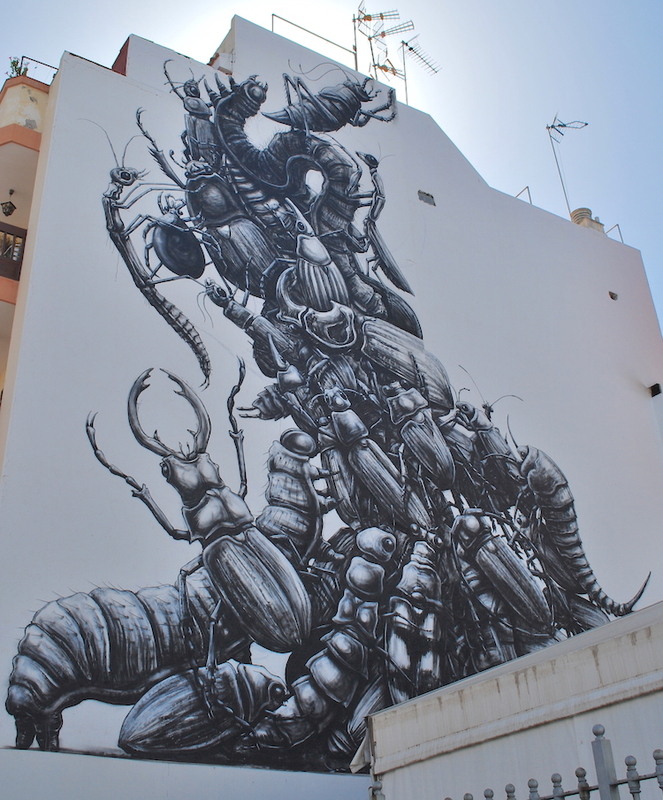 The artist Matias Mata (artistic name Sabotaje al Montaje) is the artistic co-ordinator of Puerto de la Cruz street art. ‘Volatile Ships’ by FEOFL!P opens the mind to volatility not just of the ship, but also of the dreams of the anonymous crew. Taoro, the name of the ship, refers to the ‘Menceyato’ (Kingdom) to which Puerto de la Cruz belongs. Continue to walk past Volatile ships and you will find yourself back on El Lomo. Turn right and head down the remaining end of Lomo Street. On your right hand side you will come to the extraordinary ‘Roa’. This is definitely the darkest of the Puerto de la Cruz street art. Roa’s black and white heaped bundle of insects is extremely detailed. Finally, you will come to colourful ‘The Flying Amphora’ on Cruz Verde street. 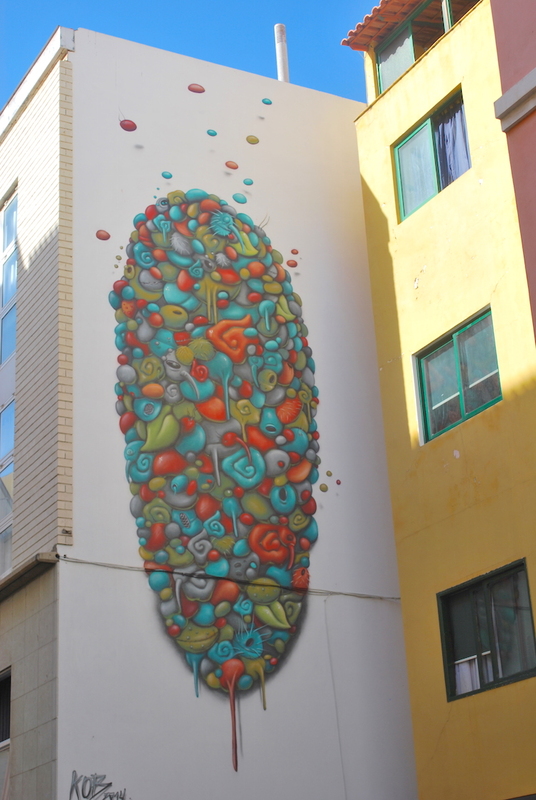 Heading to see the Puerto de la Cruz Street Art? 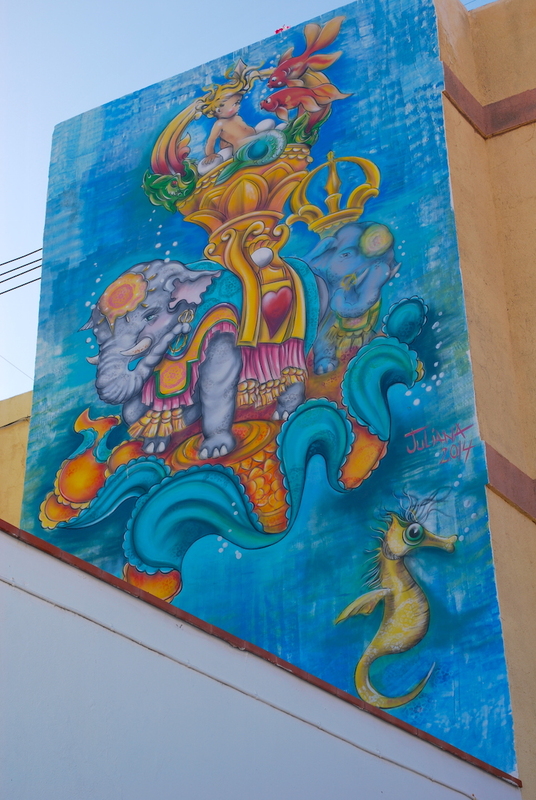 But don’t forget to keep your eye out for unofficial Puerto de la Cruz street art. Many more murals are popping up since the 2014 official street art exhibition! If you like street art, you might also like to read about Freetown Christiania in Copenhagen. 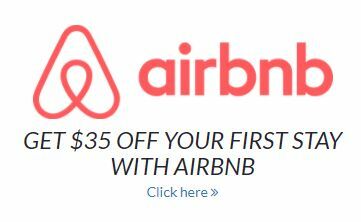 Need a Hotel in Puerto de la Cruz?